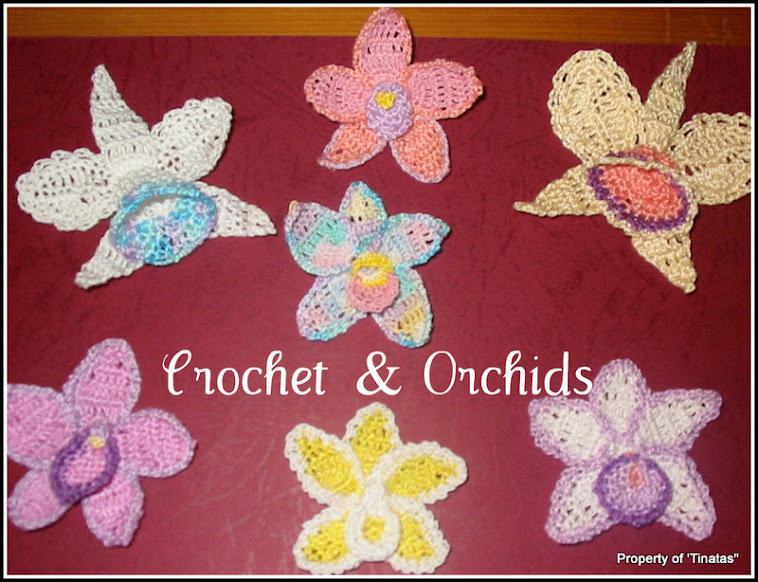 Crochet and Orchids: Xmas Stockings! These little stockings look so cute!! These little stockings are lovely. mum's just started on sticking like these for our blue and red theme ! great idea - i'm thing of putting little advent style things in them. P.S. my korean ground orchids is finally flowering - two years ! Oh lovely, do you have a pic of the orchids yet? ?